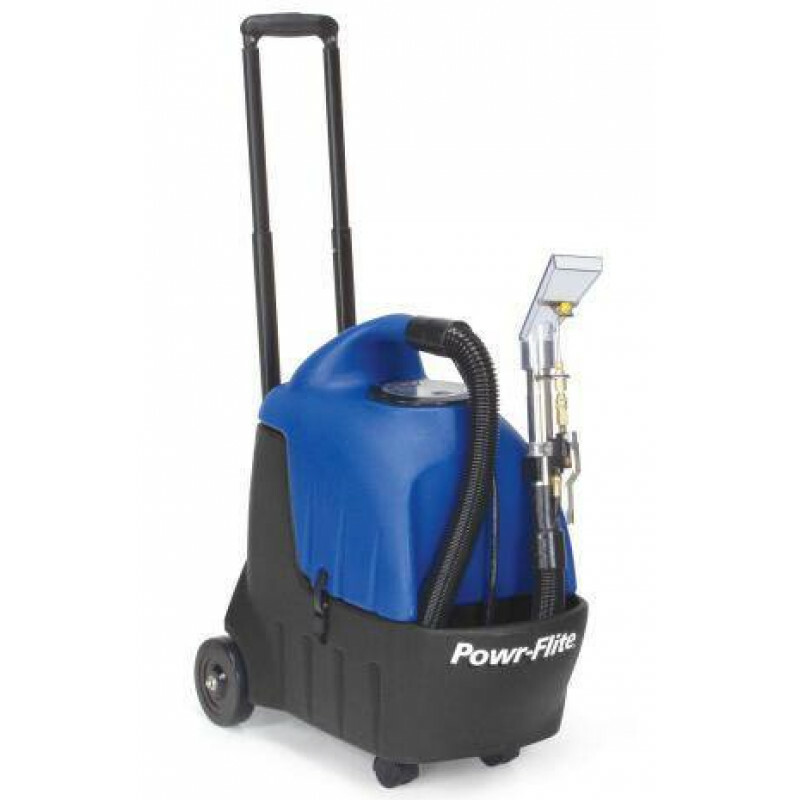 Powr-Flite offers the PS35 portable commercial carpet spotter. Lightweight and extremely powerful, it's perfect for stain removal between scheduled carpet cleanings, spot removal touch-ups, and those places where a full-sized carpet extractor just won't fit. 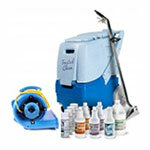 You can use it to pick up small wet spills quickly and easily. The PS35 takes the hassle out of cleaning spots before they become a major stain. If you're looking for a lighter weight carpet spotter you might want to consider the Trusted Clean carpet spotter with handle, weighing in at only 17 pounds. But, don't forget to take a look at the full line up of carpet spotters we carry. Expandable 2.5' to 10' vac/solution hose. 2 stage vacuum motor with 89" lift.